I was about 40 pages into this book when I had my review already written . I thought this was another overly earnest, quirky contemporary about finding extraordinary in ordinary with your new Magic Pixie Dream friends. Then this book took an unexpected turn, as it delved into some really difficult truths. Fans of The Impossible Life begins with Jeremy who is returning to his parochial school, St. Francis, after leaving early the year before. He is a loner, but soon befriends the new girl in school Mira and her friend Sebby. Mira is coming to St. Francis after having to leave her former school for reasons that are unclear until later in the book. This book reminded me a lot of Perks of Being a Wallflower--loner kid meets two eccentric kids and is forced to try new things. Except in this book all of the characters were more rounded and it’s not as somber or unreliable as Perks. When I started reading this book I kept having the same thought; these characters remind me a lot of theater kids. Specifically Mira and Sebby. What I mean by that is they are just so randomly quirky and embrace all kinds of eccentricity--like only wearing thrift store clothes, wearing fairy wings to a karaoke club, but also being really emotional. So, it was no surprise to me to find out that Kate Scelsa is in a theater company. In fact she edited this book while on stage in an 8 hour play where the lead actor reads The Great Gatsby from page to page. See what I mean by quirky ? Scelsa does a lot of narrative gymnastics with this book. Not only do we have three point of views, but they are each written in different perspectives. Jeremy in 1st person, Mira in 3rd person and Sebby in 2nd. It was a little jarring at first, but it actually helped to know who you were reading. I listened to the second half of this on audio and the narration worked well for the story. This is very character driven book--there is virtually no driving plot,so it feels like the characters are just kind of talking to you about a thing that happened that day--- and it works. Mira’s narrator was kind of drag, she sounded bored. There is a moment where she has to say "not enough" 50 times and listening to it was painful--which is too bad because I’ve seen audiobooks do repetitious words really well. Jeremy’s narrator Michael Curran was amazing, he has the perfect youthful voice and knows how to inject emotion it. --I need him to do more audiobooks right now. Sebby’s narrator was Macleod Andews who I liked in the Will Grayson, Will Grayson audiobook, but doesn’t have much to do here what with it being short 2nd person chapters. 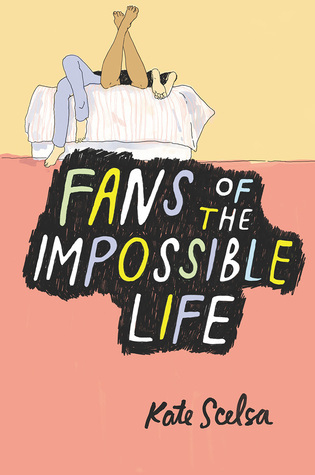 Fans of The Impossible is the kind of book I think a lot of teenagers will love for its honesty and passionately drawn characters. This novel is everything a coming of age novel should be and more. 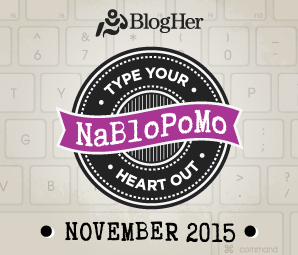 We're blogging everyday in November !